Lorraine Heath also writes paranormal and light contemporary young adult romances. Her ​​​​​​​​​​​​​​​​​​​​​​​​​​​​​​Dark Guardians series was written under the name Rachel Hawthorne. Her Darkness Before Dawn novels were written as J.A London in collaboration with her son. She also writes light contemporary romances under the name Jade Parker. 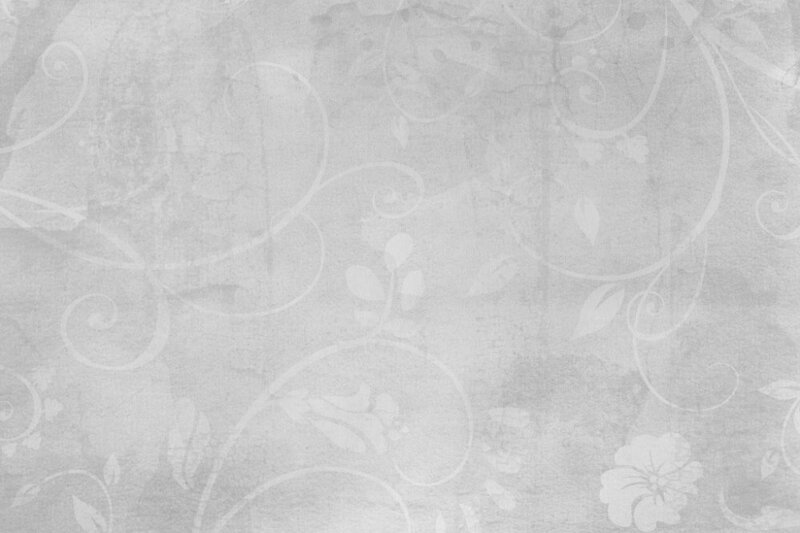 ​ Go to RachelHawthorne.net for more information. 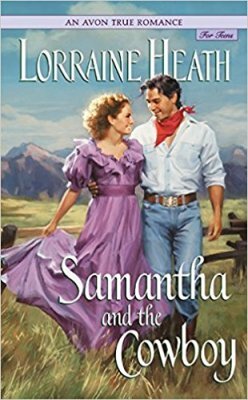 When she manages to get herself hired for the cattle drive, all of Samantha's prayers seem to be answered. The hundred dollars she'll earn will pull her family's Texas farm out of ruin and pay off their debts. But keeping the cowhands fooled that she's a boy becomes harder than she'd expected where one cowboy in particular is concerned. Matthew Hart wants two things: to forget the tragedies he witnessed on the front lines of the War Between the States, and to reclaim his cowboy life. The last thing he wants is the responsibility of a tagalong youngster on the cattle drive. His closed mind and hardened heart are territory best left unexplored, until a fateful moment turns his world upside down. Matt discovers what and who "Sam" really is, and he is furious. But soon a stronger emotion takes hold, and bound by Samantha's secret, Matt is torn between revealing her identity and his own sudden and frightening love for her. With a strict, eagle-eyed judge for a father and two older brothers to back him up, Amelia Harper is doted upon and protected within an inch of her life. She's not even allowed to have a sweetheart until she's seventeen, for example. Amelia longs for the day she can do as she pleases, but that day doesn't seem to be in any hurry to arrive. For a young fellow, Jesse Lawton has a surprisingly shady background. The only wonder is that it took him until the age of fourteen to end up in jail, so wild was the path he'd been on. But five years have passed, and his luck finally seems to have turned: he's been freed. If only he can stay on the straight and narrow . . . When Jesse arrives at the Harper ranch to work off the remainder of his sentence, it's no surprise that the judge's pretty daughter catches his eye. 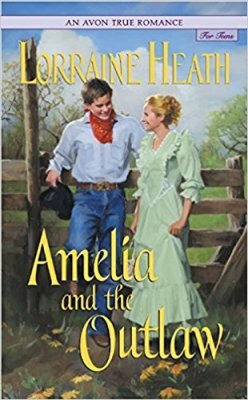 What he doesn't know is that this young lady is itching for excitement, and with one look into his haunted eyes, Amelia knows she's found it in Jesse. Without meaning to, Amelia forces the erstwhile outlaw into a choice between his freedom and his heart.